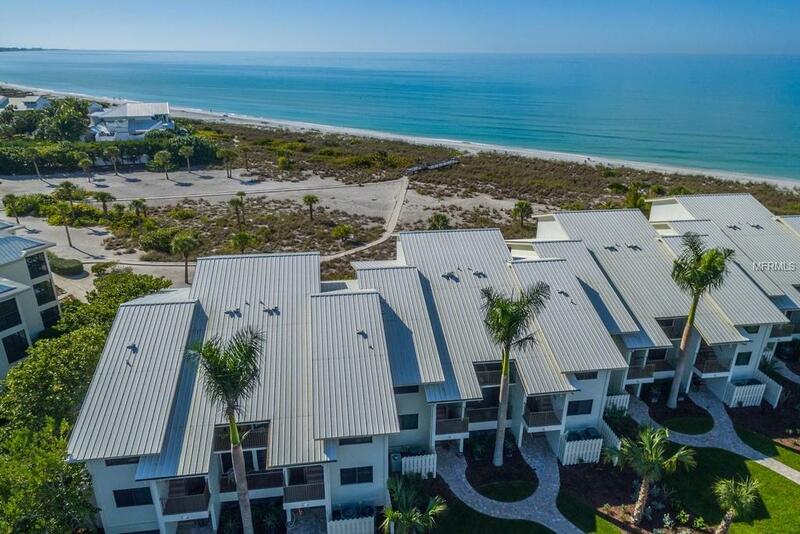 This beautiful and spacious three bedroom, top floor condominium on the beach in the amenity rich Boca Grande Club on Gasparilla Island is the Island retreat you have been waiting for! Living area, kitchen, and bright master suite are located on the main floor along with a guest bedroom and bathroom. The upstairs provides a private, second guest suite with stunning views of the Gulf of Mexico. The updated kitchen features brand new stainless steel appliances and all three bedrooms feature hard wood floors. The exterior has fresh new landscaping, crisp paint, metal roof and newer aluminum railings, and all windows and exterior sliding doors have been upgraded to hurricane impact glass. The Boca Grande Club offers a Gulf front clubhouse with pool and tiki bar, along with a member's only restaurant. There are 3 heated swimming pools, fitness center, playground, and 8 Har-Tru tennis courts with pro-shop and instruction available. Boca Grande Club membership is required with a one time $10k initiation fee. Additional Lease Restrictions Must Join The Boca Grande Club With A Rental Membership After 30 Days. April 16-October 14 Minimum 3 Night Stay. October 15-April 15 Minimum 7 Night Stay. Pet Restrictions The Owner Of Each Unit May Keep One (1) Small Pet Of A Domesticated Household Type (Such As A Cat Or Dog) in The Unit (No Weight Limit). The Pet Must Be Leashed Or Carried At All Times While Outside Of The Unit.